Is there a video player / software that is able to do this right away? or do you need fix these with bottom and top correction. Work alot with actors and want to plug the THETA V to a laptop copy the files and check the quality of the recording as fast as possible. Windows 10 default movie player works. VLC works. Make sure 360 view is enabled. 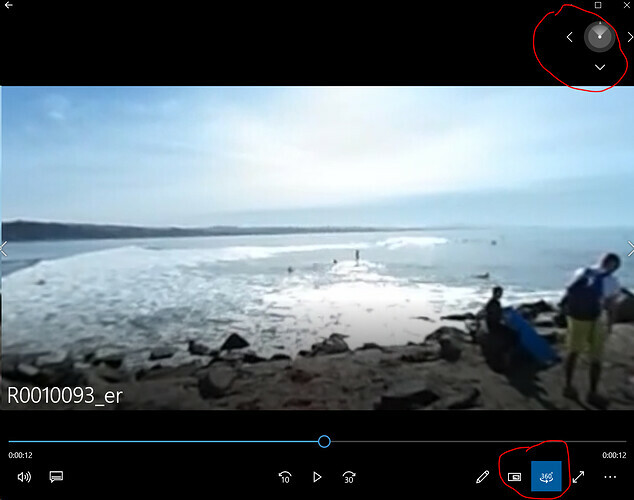 Did you stitch the dual-fisheye video with the RICOH desktop app? I see you use a _er file. Creating a _er file takes a few minutes. I was wondering if there is any software / player / setting to use it right away? Or be able to view it a little bit better then in the windows player? There is a setting in the camera to stitch it internally. Your dual-fisheye video is not normal. Did you just buy the camera? If it is under warranty, you should get it checked out. The gray section is not normal. 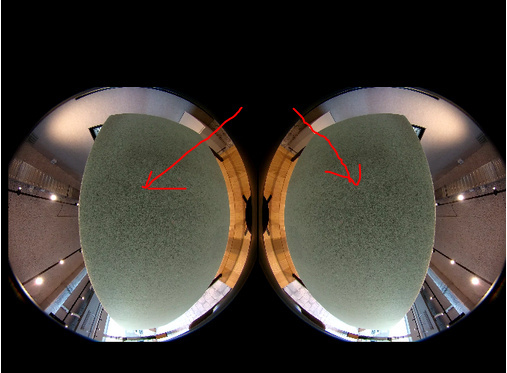 The default setting is for the video to be recorded as dual-fisheye. You can use the mobile app from RICOH to set the camera to automatically stitch the videos internal to the camera and thus saved as equirectangular. Once you set the stitching, you can turn off or reboot the camera and the settings will be saved. You only need to set the stitching once.